The Handlebar Mustache: How to Grow, Guide, Examples, and More! Unless you’ve grown up in a cave, you know what the handlebar mustache is. Wait, maybe some cavemen wore the handlebar … oh, never mind. But, the fact is, the handlebar – that gorgeous mustache with the turned-up outer edges – would look distinctive in a room full of handlebar-mustached men. The handlebar is a classic, but not often worn, mustache style that dates to 18th century Europe and made its way into American culture in the 19th century. You’ve probably seen pictures of legendary American lawman Wyatt Earp (“Shootout at the OK Corral”) sporting an unforgettable handlebar mustache. The handlebar is still as much of a fashion statement today as it was back then. While the handlebar looks fantastic all on its own, it can be paired with other facial hair, such as a goatee or beard of any length. The bottom line: It may not be for everyone, but it would take a dead, cold soul to be a handlebar-hater. You don’t mind making a bold statement if you’re wearing the handlebar. You certainly aren’t a shrinking violet, because you know people can’t help but look at your ‘stache and you welcome the attention. You probably like a lot of vintage things, as well, whether it’s clothing style or even items around the house. Yes, you march to the beat of your own drum. 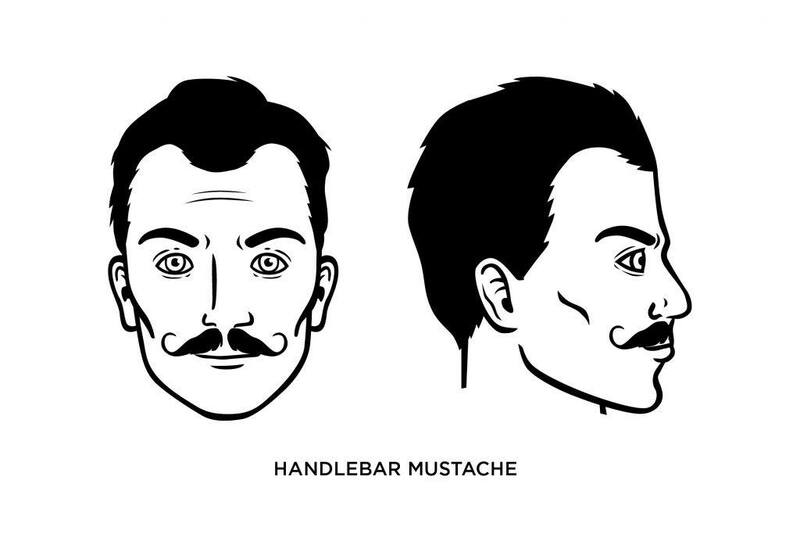 The handlebar works best with most face shapes, but men with longer faces look pretty damn good with one. The first and most obvious step in creating your handlebar is to let your mustache grow. And grow some more. Resist the temptation to trim it – you want it to get nice and bushy. Once you’ve achieved a robust mustache length, comb it once a day with a quality comb. Create a part in the middle of your handlebar by combing the hair immediately under your nose in opposite directions. You’re going to need to wax your mustache to get it into handlebar shape. That’s especially true of the ends, which you’re going to twist and curl up and in. You have to be committed while maintaining your handlebar. Chances are, you’re going to have to wash it, wax it, comb it, and curl it every day. But the outcome is well worth the time spent. 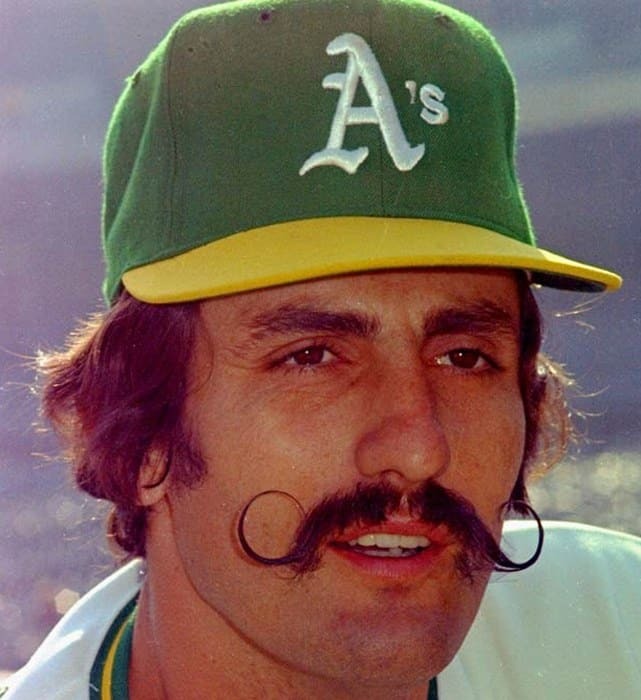 Fans of American baseball remember pitcher Rollie Fingers. That dude had a great handlebar. 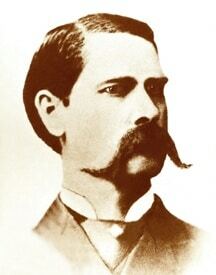 And we’ve already mentioned Wyatt Earp, who kept Wild West outlaws at bay while wearing a classic handlebar.